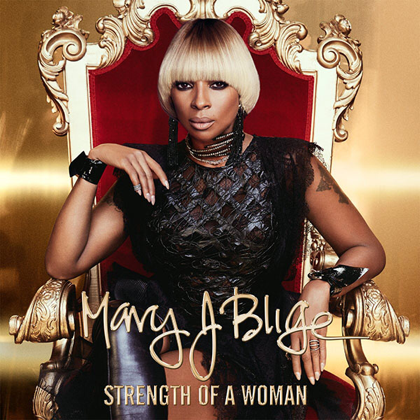 Just two years after Mary J. Blige released the album The London Sessions she is gearing up for the release of it's follow-up Strength of a Woman. She has thus far given a preview of the project with the singles "Thick Of It" & "U+Me (Love Lesson)" both songs in which are about her current divorce. The r&b veteran unveiled the royal infused album cover just a few days ago & now she delivers the full track list. 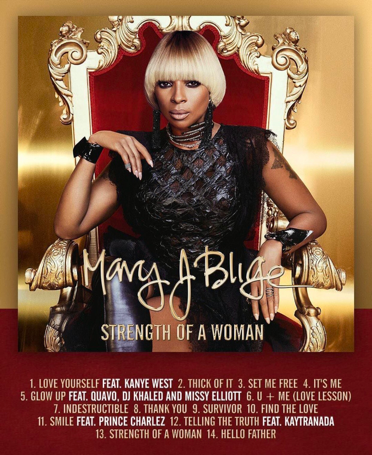 Mary will be pouring her heart out in a goal of 14 tracks that will see her collaborate with Kanye West, Missy Elliott, DJ Khaled, & Quavo. With the recent publicized issues that she has been facing with her on-going divorce this new project will definitely feature songs that many will relate to. Strength of a Woman will be released on Friday, April 28th!